Andrus Ansip, Vice-President of the European Commission, has been tasked to make sure that every EU citizens gets the best deal online ‒ no matter in which country and what language is spoken. He published a post on his blog addressing multilingualism as a barrier to the Digital Single Market, that hardly gets a mention. The post does not go into any specifics as to how to tackle this challenge. Nevertheless it is a great step forward that he raises awareness because also Biz and Tech seem to think the world speaks only one language. VP Andrus’ post could be a turning point, because so far decision makers have shied away from the language challenge. Understandably, since it can be thorny and technologically hard. 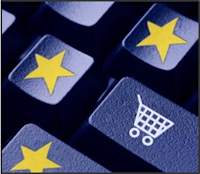 But it is what it is, language is the main barrier to the Digital Single Market. Currently game-changing IT products work only in English. Most European countries, their industries, and their citizens are basically excluded from the data revolution. Without an interoperable eGov Europe will continue to attempt solving crises top-down and fail. VP Andrus Ansip writes: "We should recognize that language differences can also act as a barrier, and increase the fragmentation of markets – which is what the DSM is trying to prevent. This is especially true when it comes to maintaining 24 language versions of your website and also providing after-sales services in the same multitude of languages. It means that multilingualism can come with a price tag that turns it into a business hurdle." He states further: "We are well supported in this task by EU countries and by the language technology industry." Yes, but developing software which can process textual information, in other words human communication, is hard. Companies have to build it button-up language for language. We need a basic infrastructure to be able to process textual information in all official EU languages and those of Europe’s main trading partners. I am foreseeing a European Language Cloud which provides the basic Natural Language Processing (NLP) thru an API for all languages, in the same quality, under the same favorable terms. He continues: "Or take data analytics, a fast-growing and important sector for the DSM." Data driven solutions will indeed define the future. But only if we can make sense of all that data; at least half of it being textual, cross-border always multilingual. We need an open knowledge system for all government organizations. Such infrastructure enables meanings to be carried cross-language via sector specific knowledge structures linked to their multilingual expressions. At the end he closes how I often like to end my presentations: "Overcoming language barriers is vital for building the DSM, which is by definition multilingual. It is now time to reduce and remove the language barriers that are holding back its advance, and turn them into competitive advantages." Indeed, a challenge is always also an opportunity. The Swiss got this and attribute one tenth of Swiss GDP to multilingualism. We have great companies and minds to take on the challenge to create a multilingual Digital Single Market. So that all citizens can benefit and Europe gains leadership in the global market. Positive site, where did u come up with the information on this posting?I have read a few of the articles on your website now, and I really like your style.Voice services Thanks a million and please keep up the effective work. Thanks for sharing such wonderful information about marketing.I read your articles very excellent and the i agree our all points because all is very good information provided this through in the post.